Various functions were added to our video stabilizer, which corrects video shaking while shooting in real time, and the product has been repackaged as the IVS-200. While existing video stabilizers are able to correct vertical and horizontal shaking, the new IVS-200 also corrects rotation. The unit also comes with an auto video optimizer (AVO), which automatically corrects of video to appropriate signal levels, and thereby dramatically improving the monitoring environment. Shaking images can be corrected in real time (enlarges and corrects shaking in two dimensions, including vertical, horizontal, diagonal and rotational shaking). Panning and Tilting can be automatically detected so that only shaking is corrected. Due to its simple design requiring only video signal input, adding the unit to existing systems is easy and allows for real time corrections. Shaking in previously recorded VTR video can also be corrected. Severe shaking, up to 40% of the screen, can be corrected. Achieves sub-pixel level correction precision. Masking function: Sets areas on images not to be corrected (e.g. Specify areas where subtitles are superimposed to be excluded from the correction). White and black levels and gamma curves in video are monitored in real time and automatically corrected to normal levels. Recognizes bright and dark spots in the video and optimally corrects only those areas requiring correction, which can expand the dynamic rage and output video that is easy to view. Area specific level adjustment function (e.g. specify a dark area that will only be corrected). 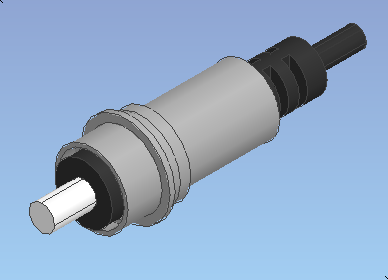 Optional screw-in DC cable retaining clip that strengthens the connection between DC connector and DC cables is available for IVS-200 (in addition to the standard DC cable retaining clip). 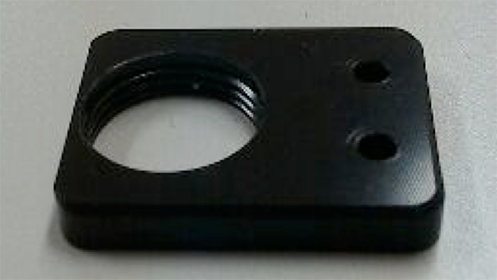 Add the DC Retaining Clip option to your order as required. The IVS-710HS is a video stabilizer to correct unwanted camera movement electrically.